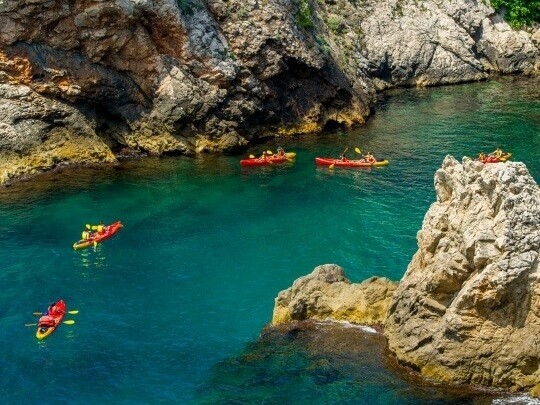 If you are looking for an adrenaline-powered encounter with Dubrovnik surroundings, grab a paddle and embark on this small-group kayaking adventure. 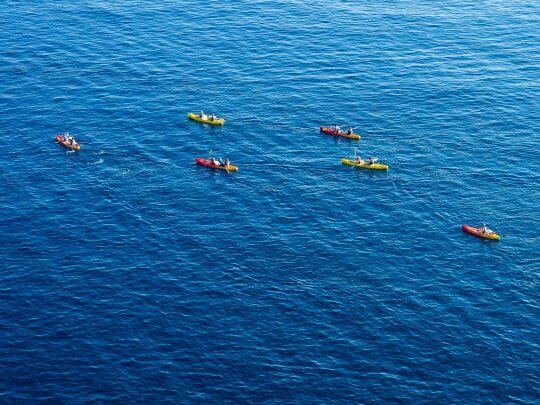 Sitting northwest of Dubrovnik, the Elaphite archipelago lays a beautiful backdrop for this medium-level combo of action and pleasure. Filled with sights of unique rock formations, cliffs, charming historic settlements and lush green pines hanging above the craggy rocks, this is a day which will leave you with a pleasant aftertaste and long-lasting memories. 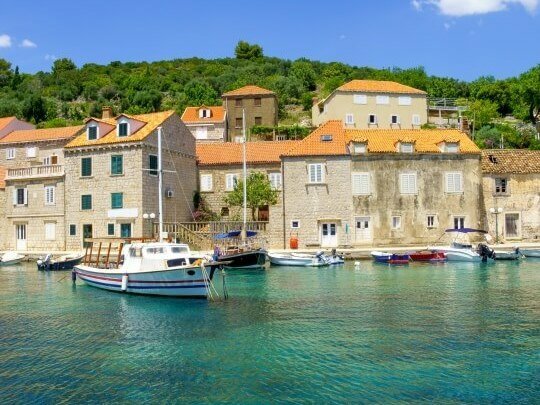 In the port of Gruž, you’ll embark on an hour-long ferry ride to the island of Lopud. 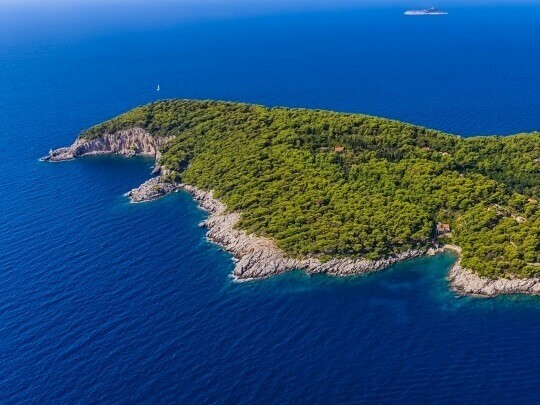 After introductions and a simple training exercise in shallow water, paddle off to the neighboring Šipan island, stopping along the way to admire a stone arch and the Green Cave. 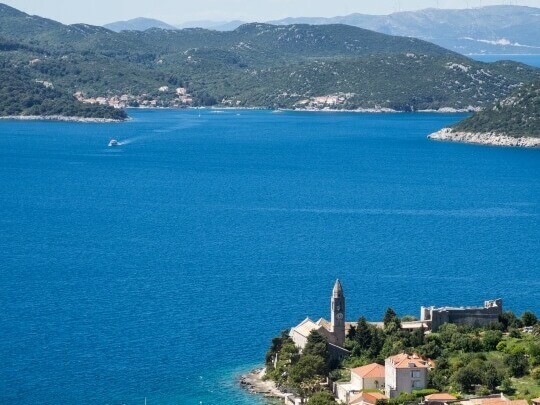 Suđurađ, the town you are headed to, lies in a quiet bay, approximately 1.5-2 hours of easy paddling from Lopud. Enjoy a stroll and some time on your own before heading back to Lopud. 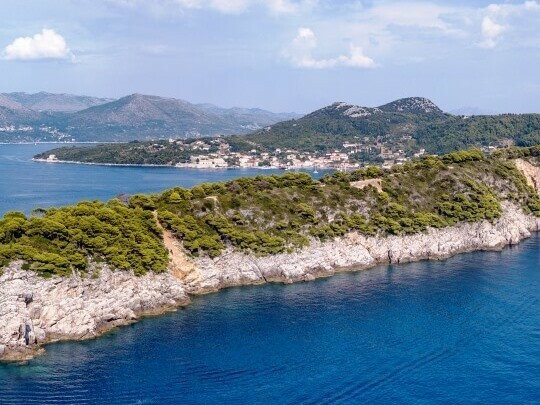 Spend the time before the ferry to indulge in the beauties of Lopud, from the 15th-century monasteries and modern hotel architecture to the sandy beaches, sky-high palm trees and charming cafes offering true local moments. NOTE: Excursion itinerary can be adjusted in case of conditions beyond our control. We have received your holiday preferences and will get back to you with suggestions that best suit your wishes. Kindly allow us 48hours to reply to your enquiry. Guides reserve the right to cancel the trip, without prior notice, incase of bad weather conditions. In addition, guides retain the right to change the route. For a full refund, cancel at least 24 hours in advance of the start date of the experience. No show – no refund. For cancellation policy please refer to General Terms & Conditions. Get in touch! We're here to help.